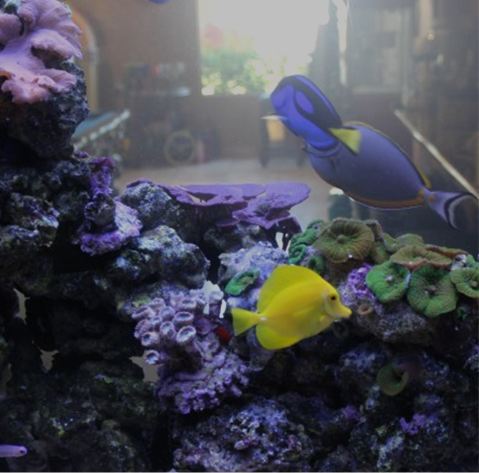 Seatech Aquariums is honored at being called upon as the local expert in both basic and advanced level Reef Aquarium setups and maintenance needs. Our magnificent Reef Tank setups include colorful fish, invertebrates and all ranges of corals. Our expertise makes sure the basics are in place first which is the Seatech Standard, including but is not limited to: Ample Filtration – Mechanical, Biological and Chemical. Climate / Temperature Control. RODI Water + Water Conditioner and Lighting requirements for Reef Tanks. Once we have the foundation for success, we carefully create an incredible landscape of live rock and start habitants, until we fully cycle the tank to handle bacteria and safe water parameters for the most sensitive habitants. Our clients are always excited about watching their aquarium form into a living reef tank whether from their home or office. Our expertise makes certain that its done properly though, which includes reef tank safe live rock and glass cleaners and Reef Safe Fish. Once we have the right habitants, we focus on stimulating corals through advance knowledge of temperature management, water movement, feeding schedules and high quality additives to make sure the environment thrives.